Today is the annual meeting of the parish of St Ambrose. Every year across the Episcopal Church, parishes call these meetings to elect new leaders, review the budget for the next year, report on the results of the previous year. No one is totally thrilled by these meetings and we all know they are necessary and important. It is something of a miracle that we are having this meeting at St Ambrose. The year of 2013 will not go down as a wonderful year. Yes, we became a United Way Agency, successfully planned and held a wonderful Cinco de Mayo Celebration, opened a thrift shop and got a food pantry on its feet. We have a waiting list of over 40 children whose families would love for their children to participate in our school success programs. The reading comprehension test results for our literacy summer camp were the strongest ever. But it was a year of unhealthy drama within our own community and a year of serious and destructive conflict with a part of the leadership team of the “mother ship”/big church that we work with. For the first time ever, I spent a too much time looking over my shoulder because it was clear that there were some folks who’d set their sights on my staff and me. In November, the conflict broke wide open at one of the ugliest, most confrontational church meetings anyone would want to be a part of. For the next few weeks, it was hard to find a way forward that would keep the ministries I so believe in open. My job as I had known it was finito; it made for a very bittersweet Christmas. I had gone on retreat at Tahoe in October because I was as lost and turned upside down as a person can be and still function. The conflict, chaos and drama of the past year not only made my work situation difficult but brought enormous pressure to bear on my marriage. For a while, it seemed like I was going to lose everything that anchored my life and gave it meaning. Those thirty days of retreat, prayer and reflection reminded me that in fact, it is in losing everything that we find our lives and somehow, I began to lose the fear; the sense of hopelessness and failure I had struggled with all year. Something else quite lovely happened. While I was at Tahoe, I was approached about two pretty remarkable work opportunities. One was to become rector of a large, successful parish in Alabama. The other was to become lead consultant for a church-wide new program that is being launched by the Episcopal Church. This second job would start part-time and would allow me to be based wherever I chose. There would be travel, including fairly regular trips to NYC, but a lot of flexibility as well. And that parish job! If you had ever told me I would be seriously considered for rector of a large, established, quite traditional congregation in the South I would have been incredulous. Yet at each step of the discernment process with them, I experienced a community filled with grace, curiosity, courage and humor. They are a pretty remarkable bunch of people and it was with real regret that I withdrew my name from their consideration in order to accept the consultant position. I will never know how far I could have gone in that discernment process and I also have the certainty that I have made a very good decision for myself because I need the flexibility and the ability to craft a new way of working that fits my life now. One of the results of this decision is that with the help of the diocese, it looks like we have found a way for me to be able to transition out of my position with St Ambrose much more slowly and carefully than I had thought would be necessary. One day a week, I will continue to work at St Ambrose, focused on the school success programs that are the heart and portal of our ministry. I will continue to serve liturgically on Sunday mornings. There’s no denying that the whole edifice is fragile and vulnerable, but we have endured and persisted and found a way forward for another year. That is what ministry looks like these days, if you are serving as a member of the Episcopal Church in a community that does not have lots of resources to draw from. What doesn’t kill you or your marriage makes both stronger too. Sherod and I found the resources we needed to make our way out of hell—and that really is what our life had become. Perhaps some day there will be a way to write about the hardship and grace peculiar to a clergy couple, especially a clergy couple who both thrive on risk and find themselves out at the very edges of the church where the ice is thin and the water beneath brutally cold. I can say this: for longer than I can remember, and because of all the problems with my hip, I have identified with Jacob, who wrestled a blessing from God and also came out lame as a result. On Friday of this week, Sherod is having hip replacement surgery, the same surgery on the same side, as I had a few years ago. It is both of us who have wrestled with God. It is both of us who recognize the brokenness of the human condition and have scars to show for that truth. We have asked our community to allow me to sit by myself at the hospital on the morning of Sherod’s surgery and to give us some time to ourselves as Sherod begins the process of healing. I will lean on him and he will lean on me, and together, we will get on with rebuilding our life after a very, very hard year. Dearest Rosa. Will be joining you and Sherod in prayer on Friday. I love you, my sweet friend! 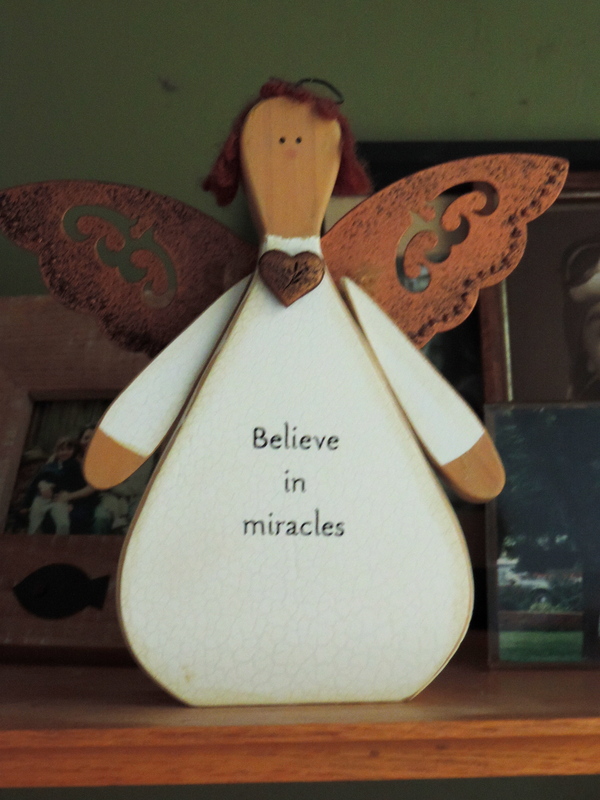 And I do believe in miracles. What Mary Beth said. Prayers for you now and when surgery occurs.